When it comes to choosing the best options for your plumbing, Kitchener Plumbing Services can help you pick the best auto dose system for your heavy equipment and commercial business. We offer great preventative maintenance measures for commercial assistance. Getting an auto-dose system is something many clients think they can’t afford, but it’s really quite easy to install and the benefits are well worth it. 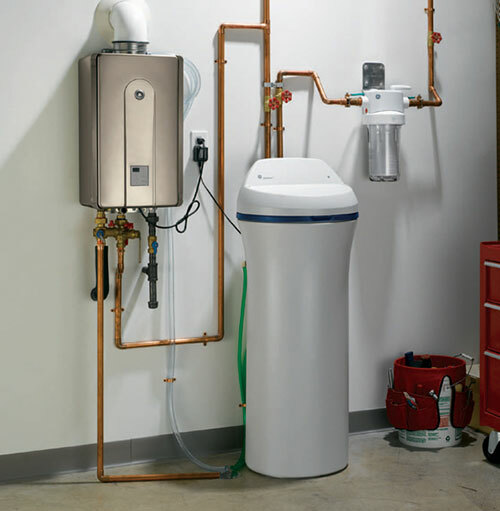 The auto-dose system is efficient and completely affordable for any plumbing budget. What it does is disperse heavy duty cleaners into plumbing systems. These cleaning and maintenance services are dispersed at regularly scheduled times that help break up pipe build up. The great thing about auto-dose, beside it being affordable, is that it’s green for the environment. When we install an auto-dose system, we make sure it is installed properly and help set up when and how the cleaning system will be scheduled. This is great for preventative measures and safe for your piping systems. Help fight grease, burned fuel, fat residue, and more. This also helps keep your commercial equipment/piping odor free. If you have a septic tank, this is perfect for creating normal levels without being harmful to the environment. We help our customers save hundreds and thousands of dollars when it comes to maintenance and repairs. Using this type of system is great for commercial application. This prevents waste back up, cleans our pipes, and helps with drain efficiency. Other plumbing services in Kitchener may not provide this service to clients. That’s’ why we are the most sought after plumbing providing. We not only help our clients with important pluming decisions, but we gear them toward products and systems that are going to save them time, money, and stress in the future. Having reliable plumbing is something many might take for granite. Until something breaks or needs service, many don’t appreciate the value of having reliable piping, septic tanks, and water lines. We not only fix whatever plumbing issues you may have, but we hope to help you better understand the process of how basic plumbing works. If we can help our clients understand the importance of proper code and other principles, then clients can make educated and proactive decisions when it comes to plumbing. We promise not to over load you with unnecessary information, but we pride ourselves in adding that personal and helpful approach to our clients. We want you to be aware of the type of service we may be performing and let you know what to expect. We simply wish to give our clients the royal treatment when it comes to plumbing services. When it comes to choosing the best options for your emergency plumbing, Kitchener Plumbing Services can help you pick the best auto dose system for your heavy equipment and commercial business. We offer great preventative maintenance measures for commercial assistance. Getting an auto-dose system is something many clients think they can’t afford, but it’s really quite easy to install and the benefits are well worth it. For outstanding auto-dose services, fill out the form, or give us a call at 226-400-6015!